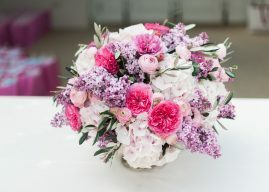 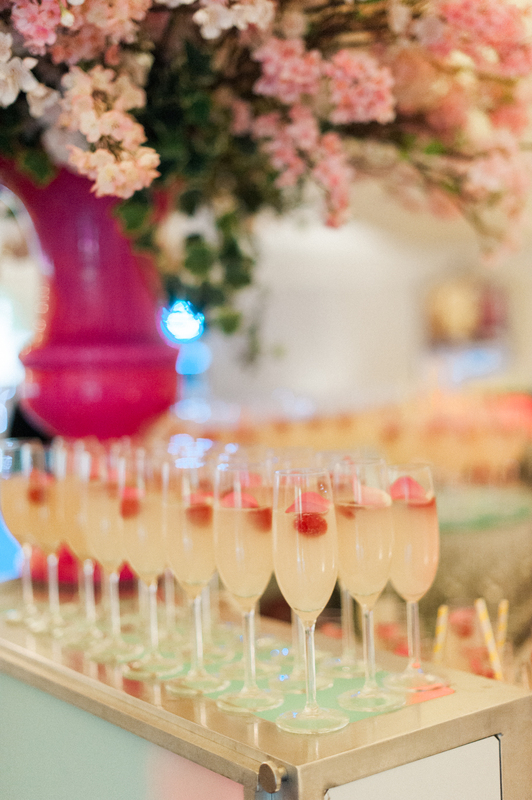 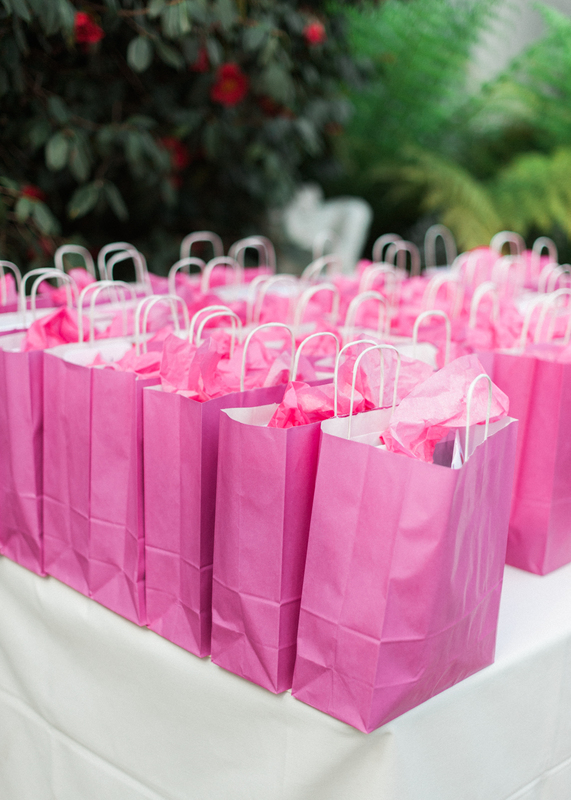 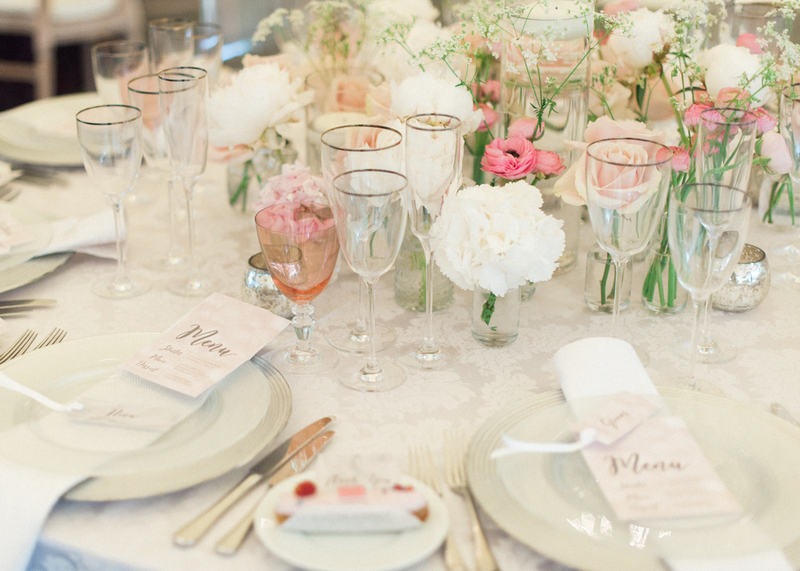 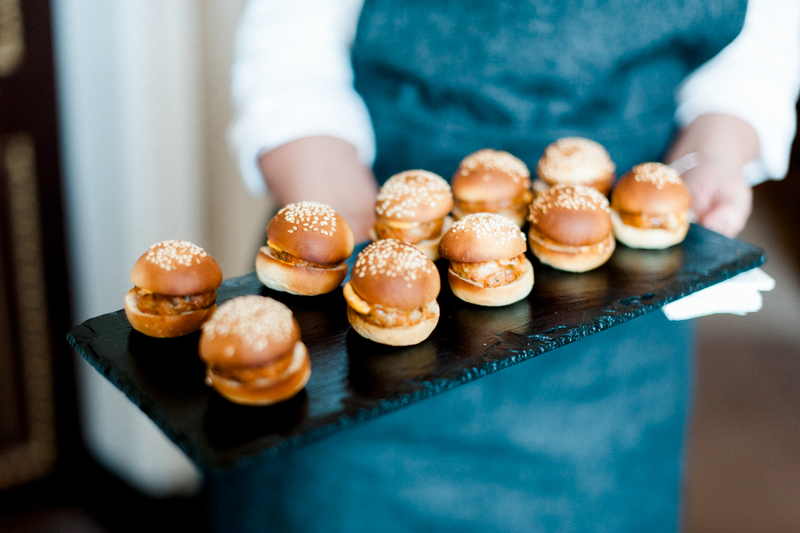 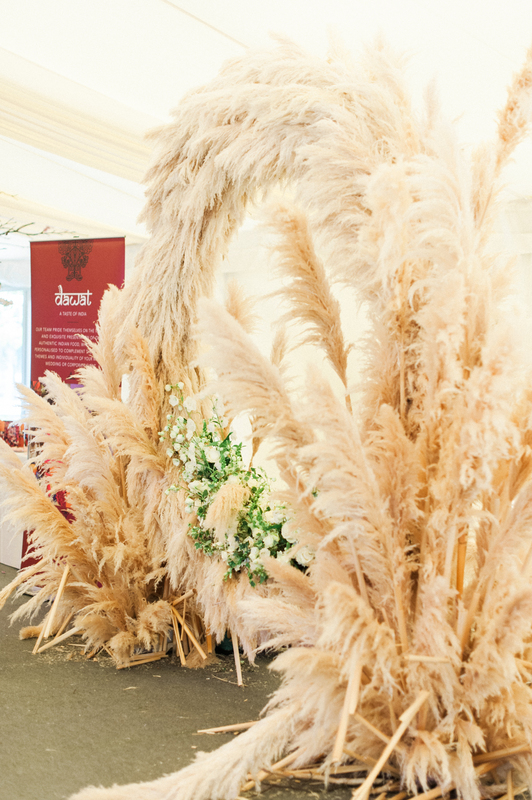 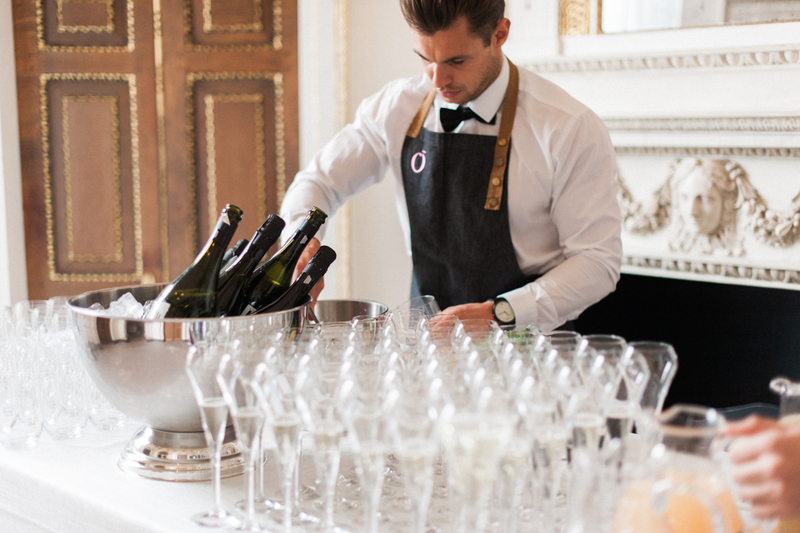 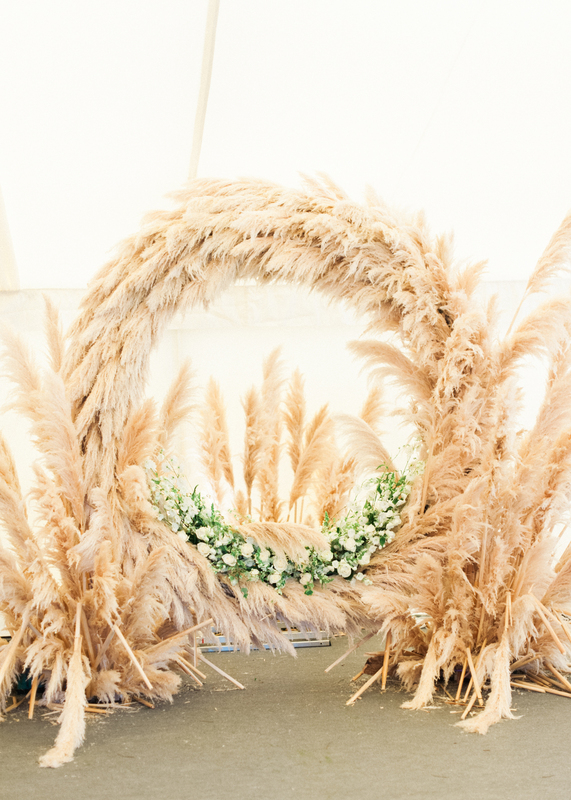 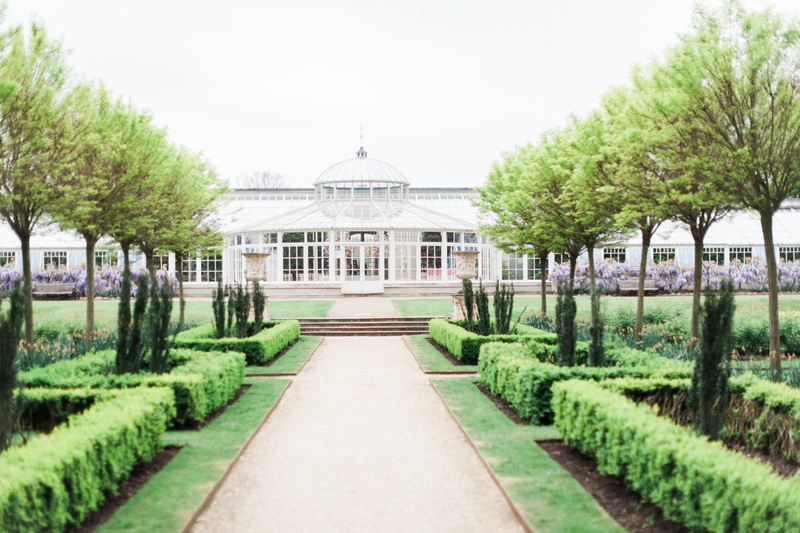 The Chiswick House & Gardens Wedding Showcase! 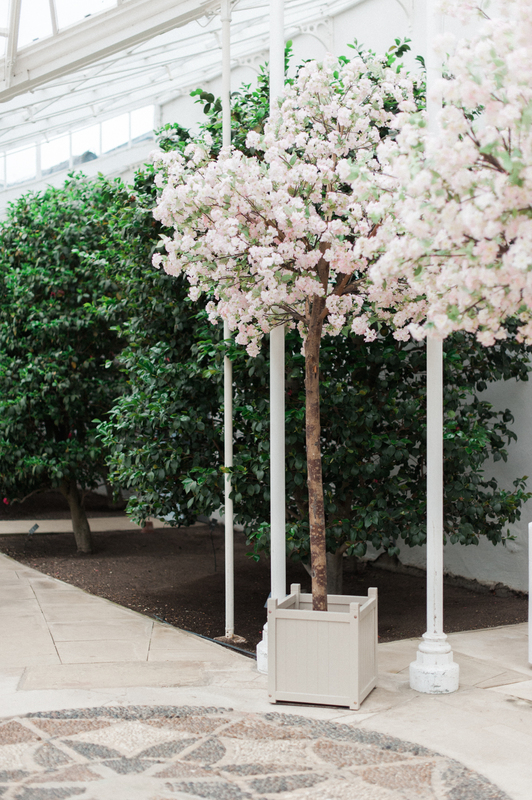 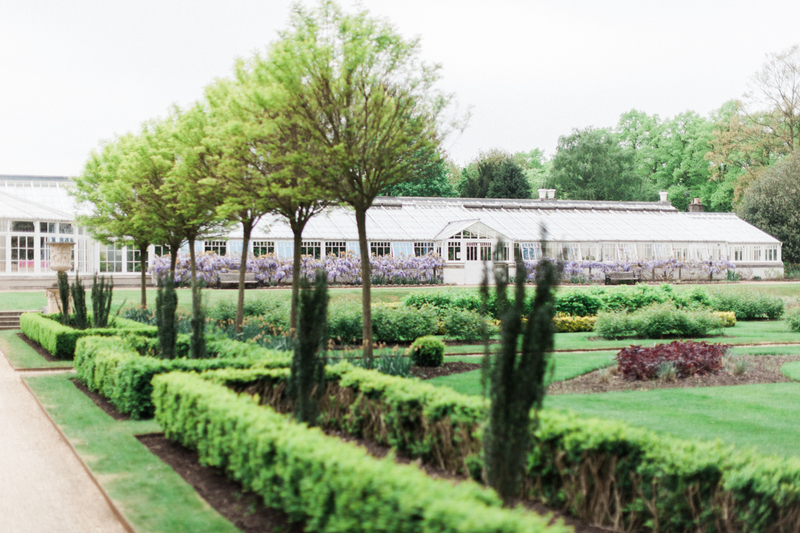 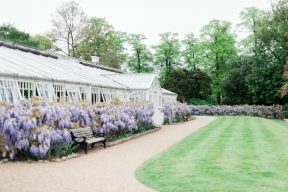 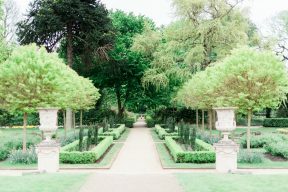 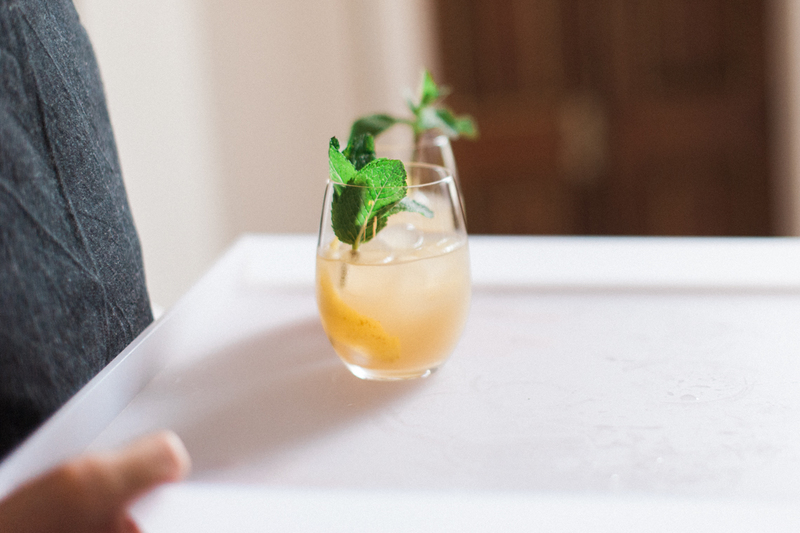 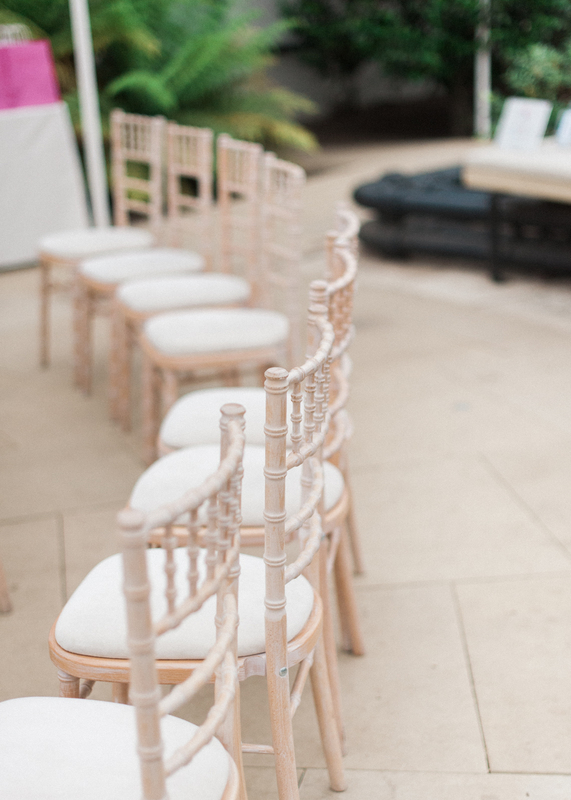 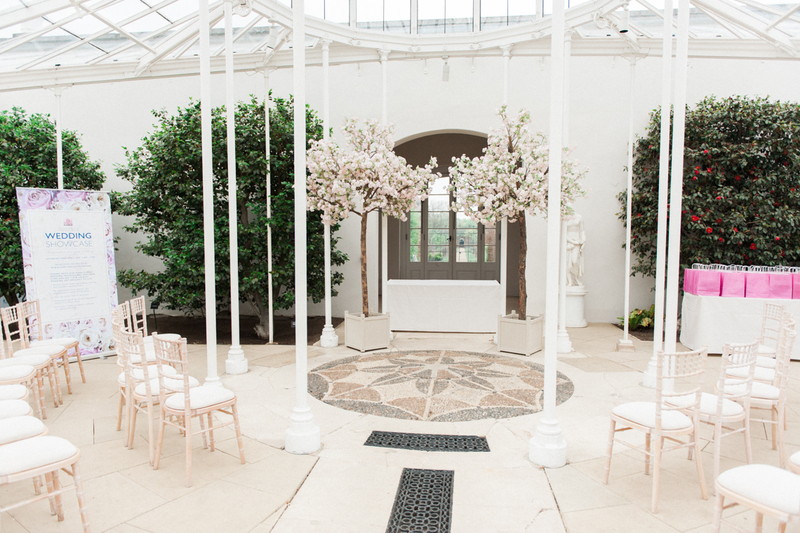 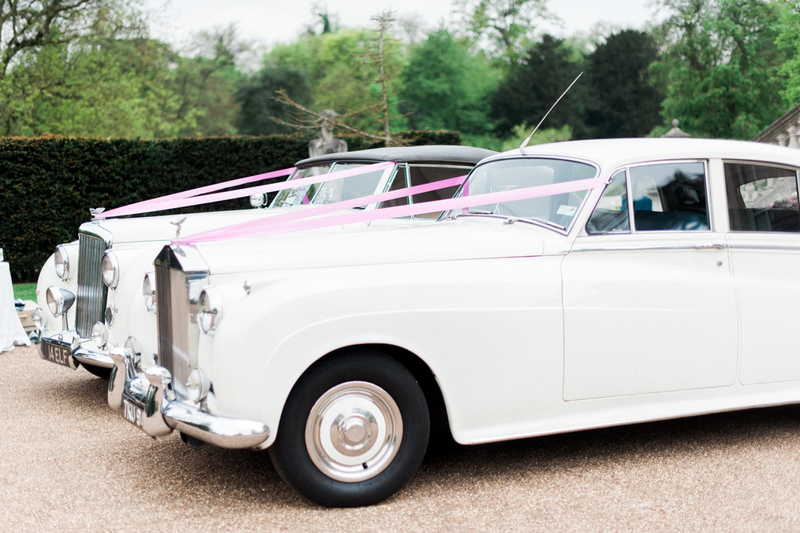 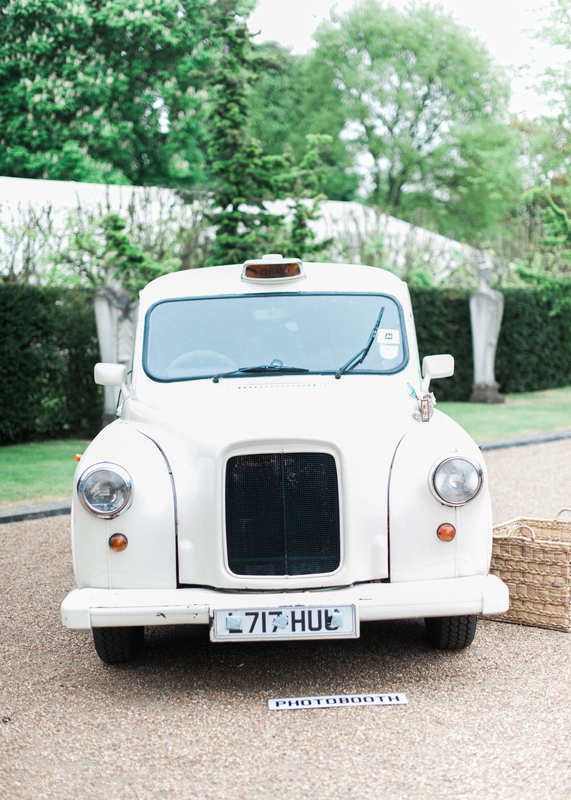 You guys will know how smitten we are with Chiswick House & Gardens as a wedding venue. 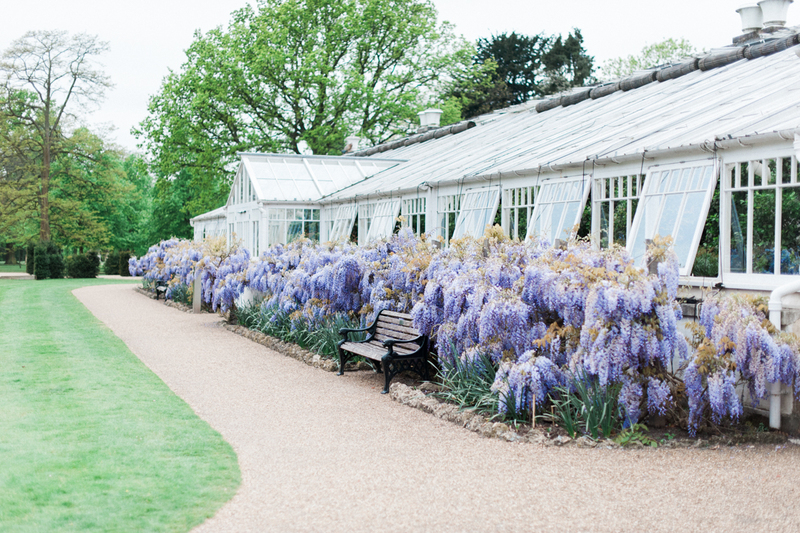 Our styled shoot ‘Love in Bloom’ in their elegant conservatory is such a light filled, fantastic space and you’ll see today how the Wisteria has flourished creating an even more magnificent setting! 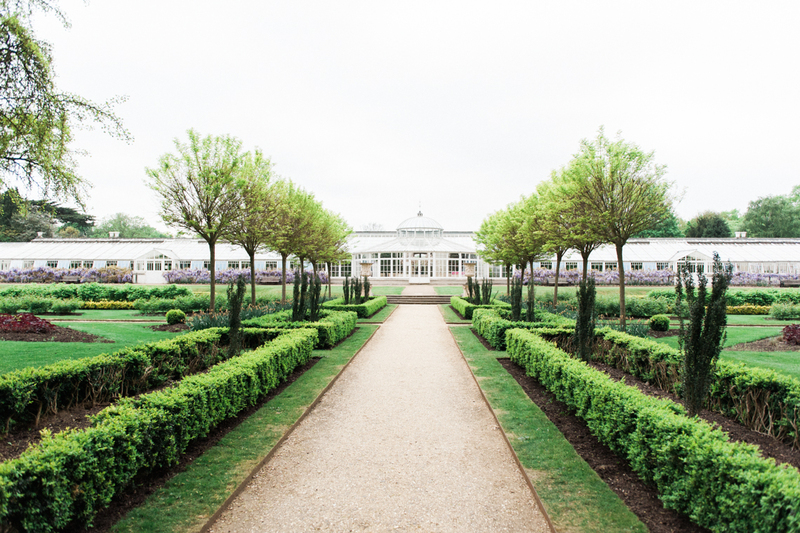 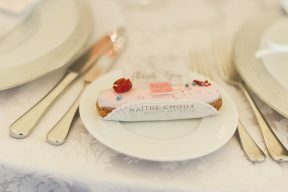 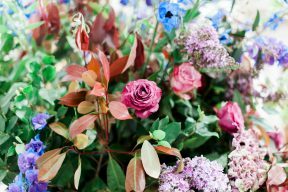 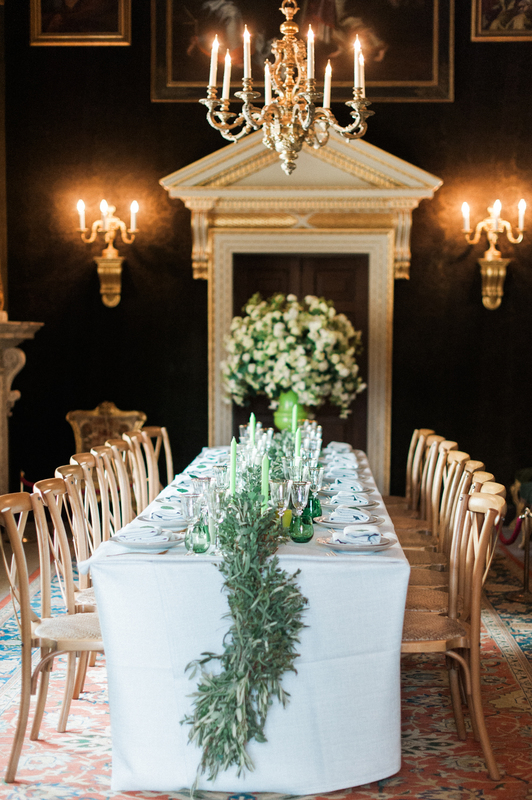 Kate Nielen Photography takes us on a tour of the Chiswick House Wedding Showcase and everything looks incredible! 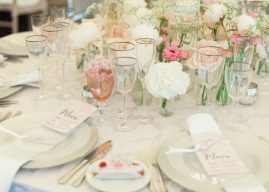 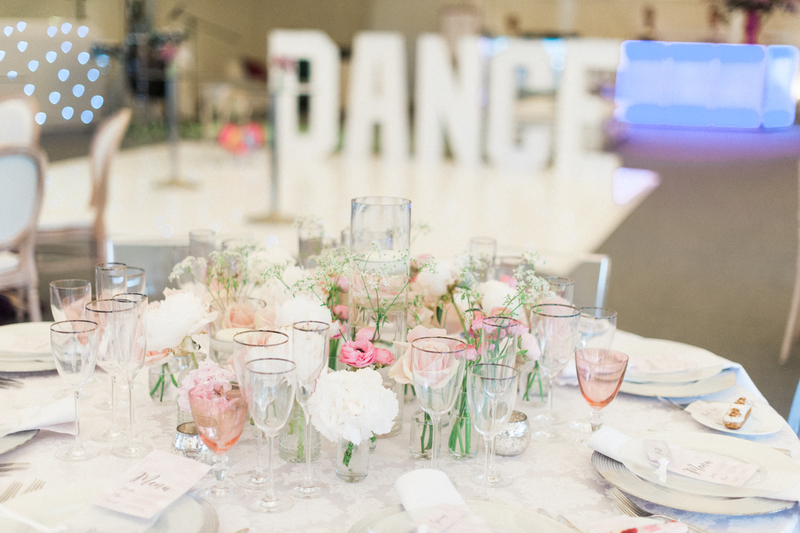 We love the different table settings which show various wedding styles in different spaces and we can’t quiet decide which we love the most! 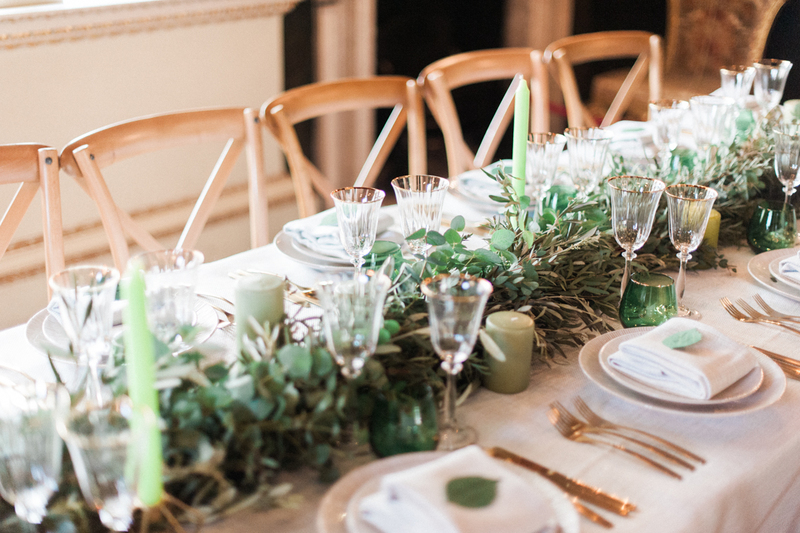 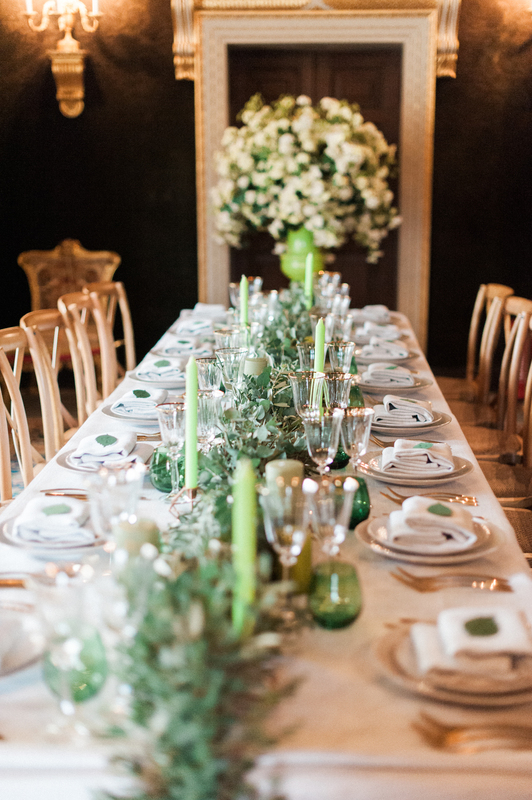 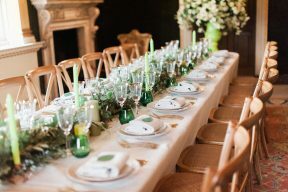 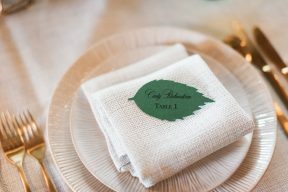 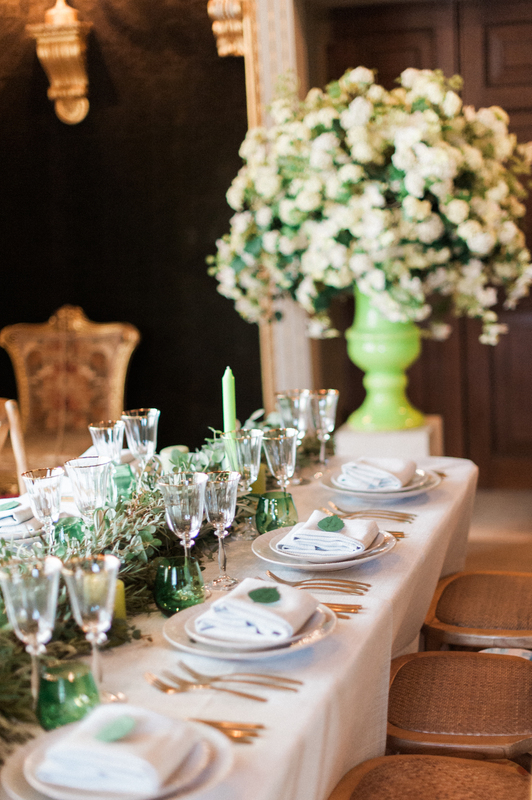 There’s the lovely green tablescape with a runner of foliage, beautiful white table linens which offset this and the green glassware and tall tapered candles! 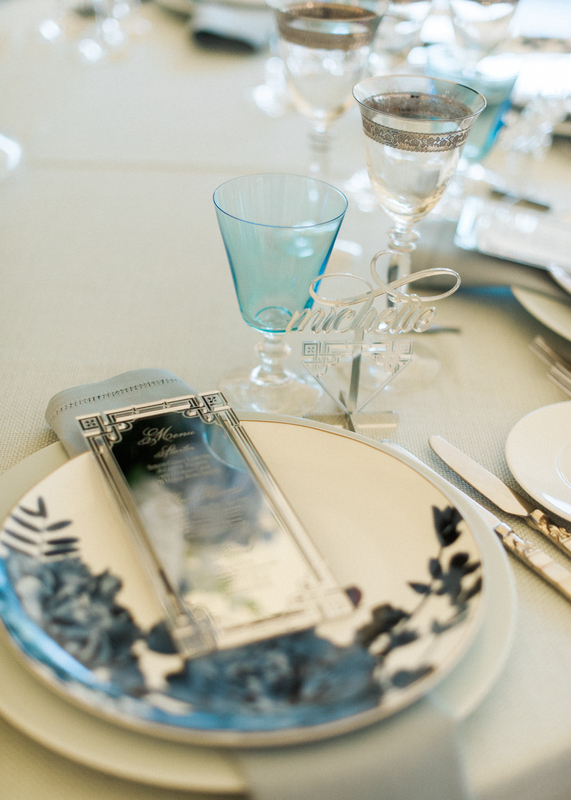 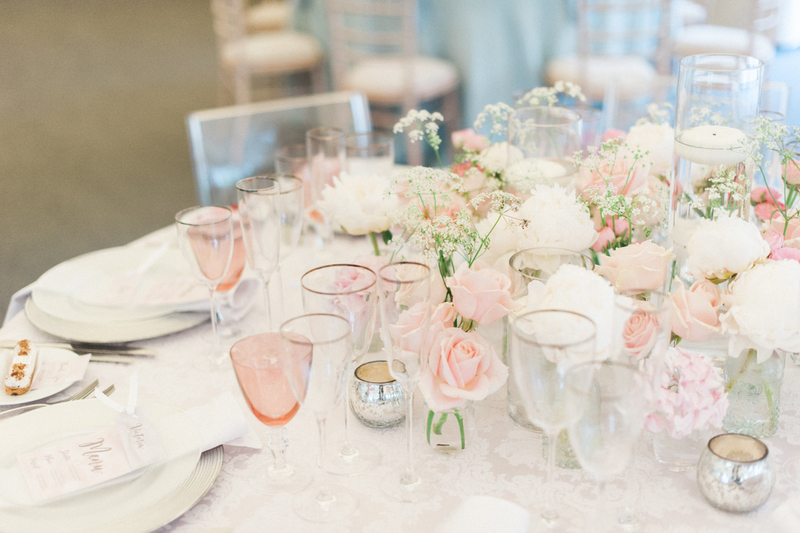 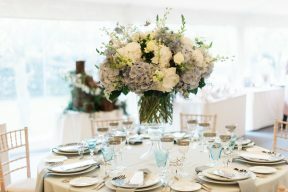 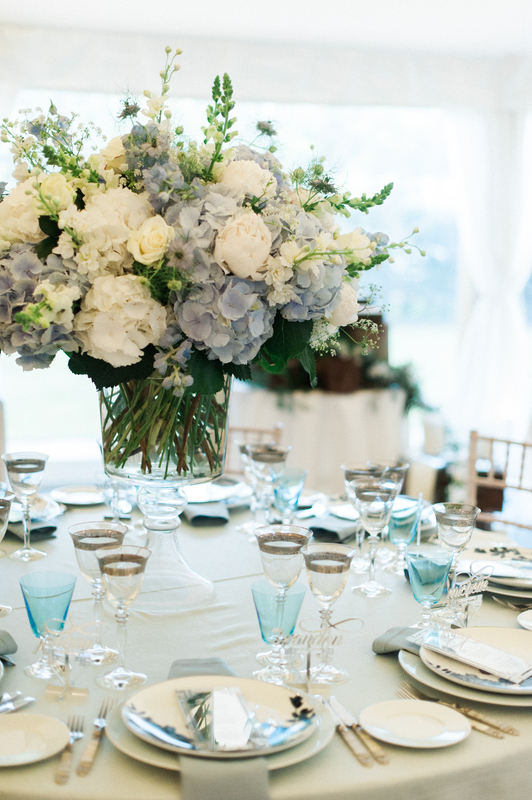 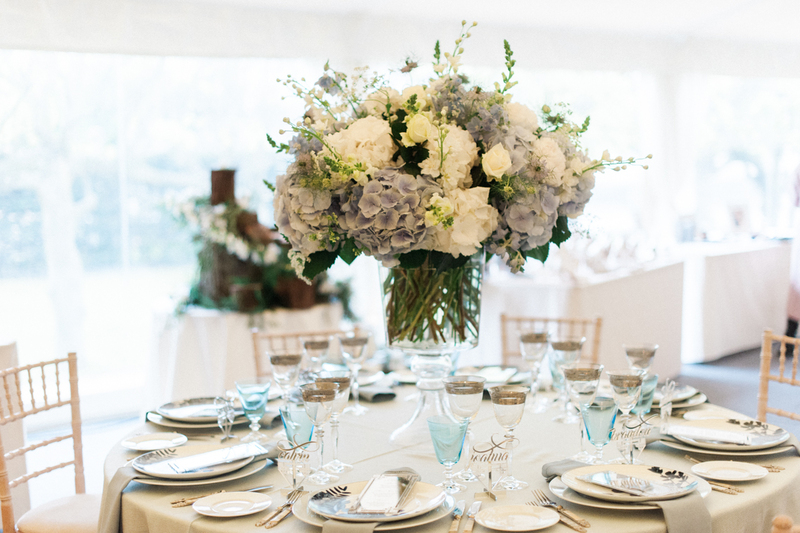 Or perhaps the blue tablesacpe with a sophisticated Fine Art feel, delicate pastel linens with deeper coloured glassware – and the most incredible centrepiece of hydrangea and roses! 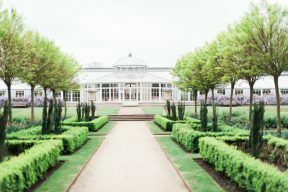 But, I must say that there’s something about the delightful bright table design that has really caught my attention, especially for a summer wedding and these fabulous gardens that Chiswick has for you to enjoy too! 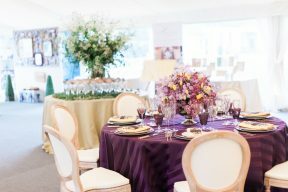 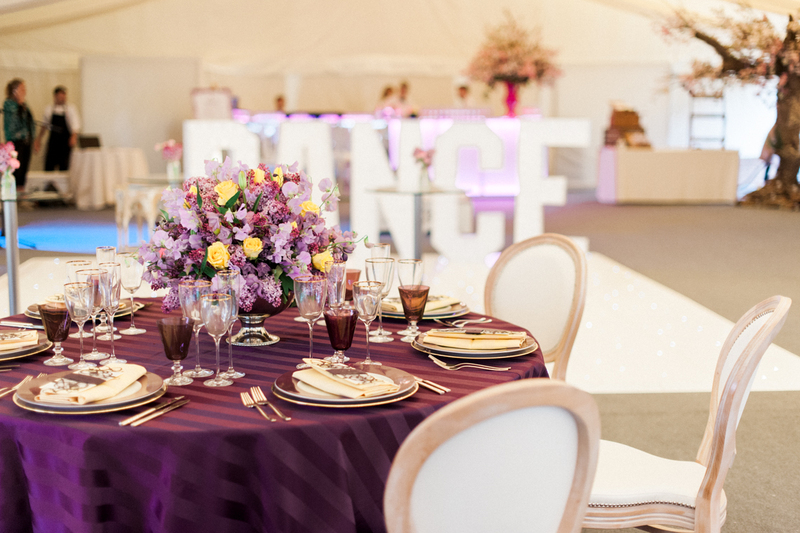 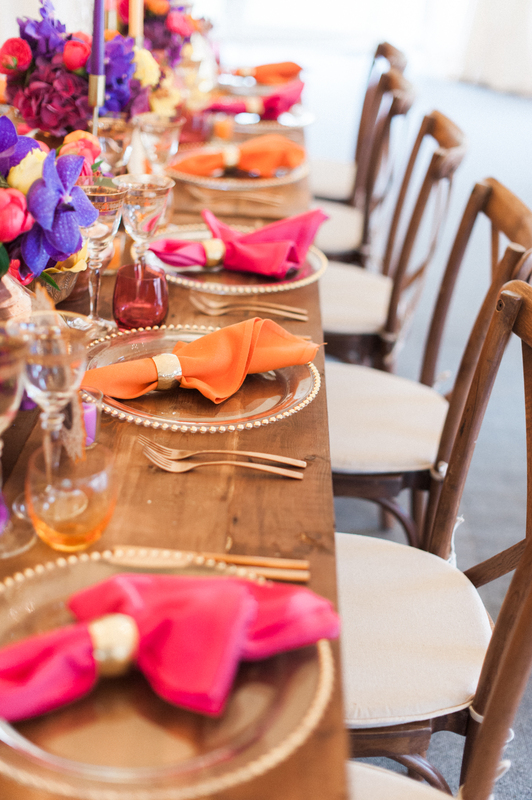 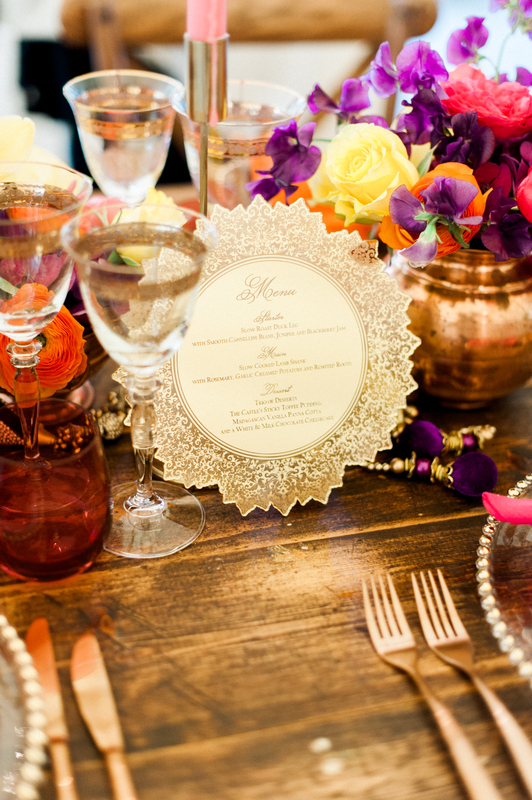 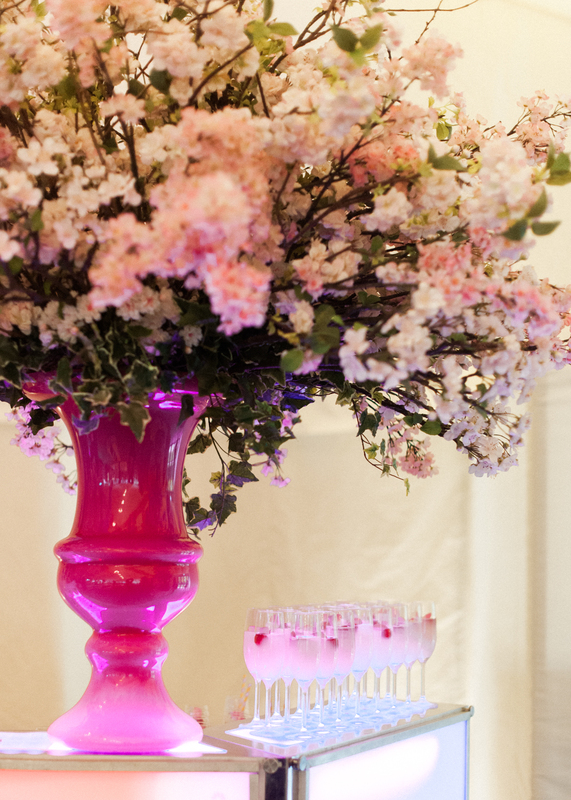 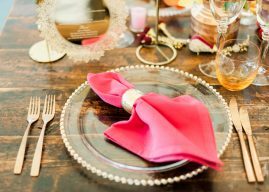 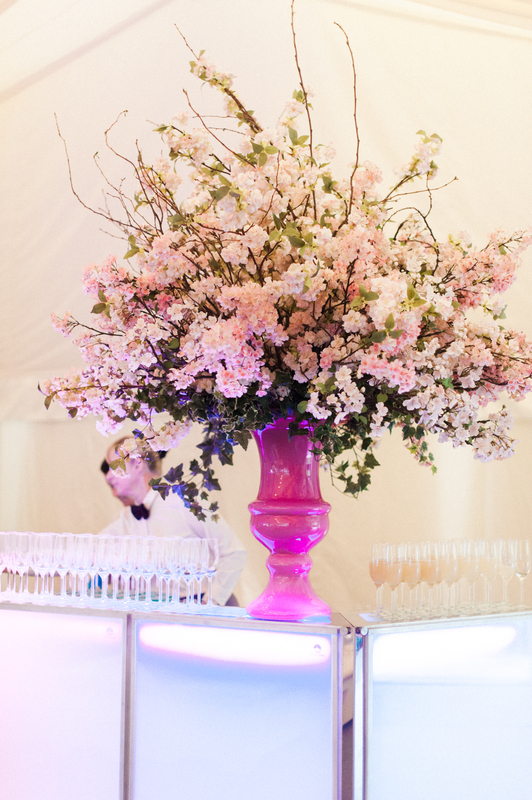 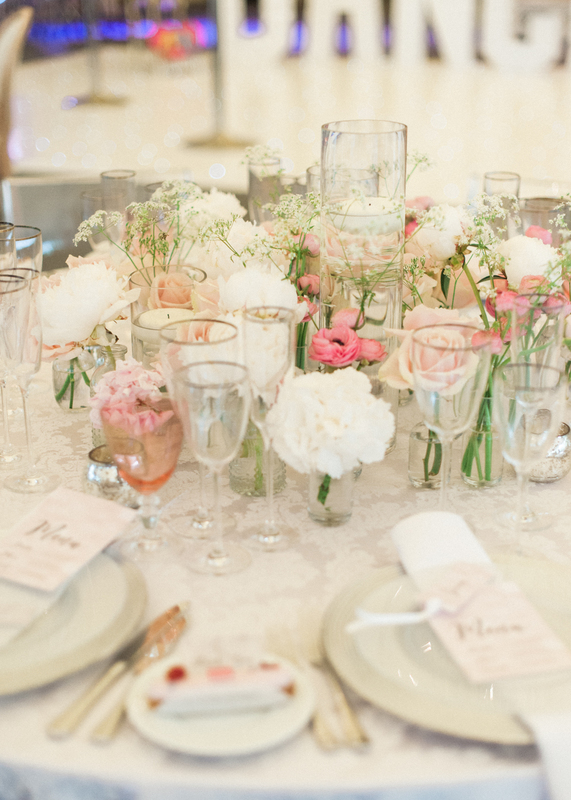 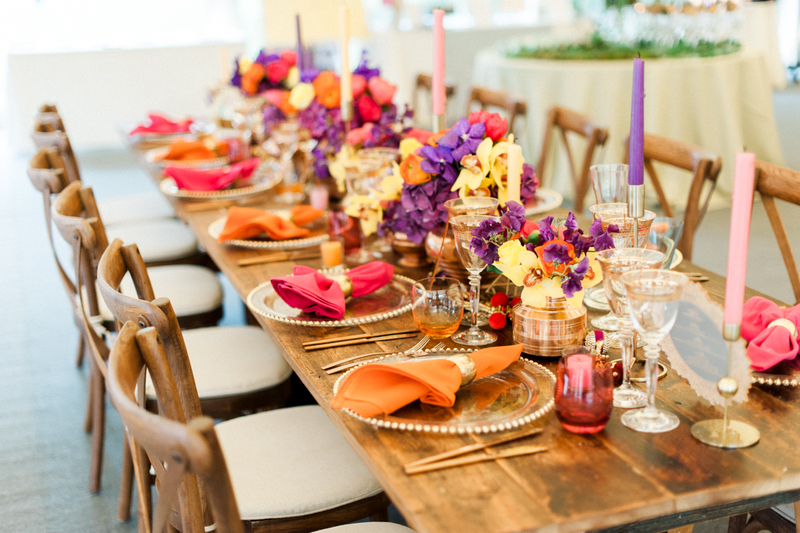 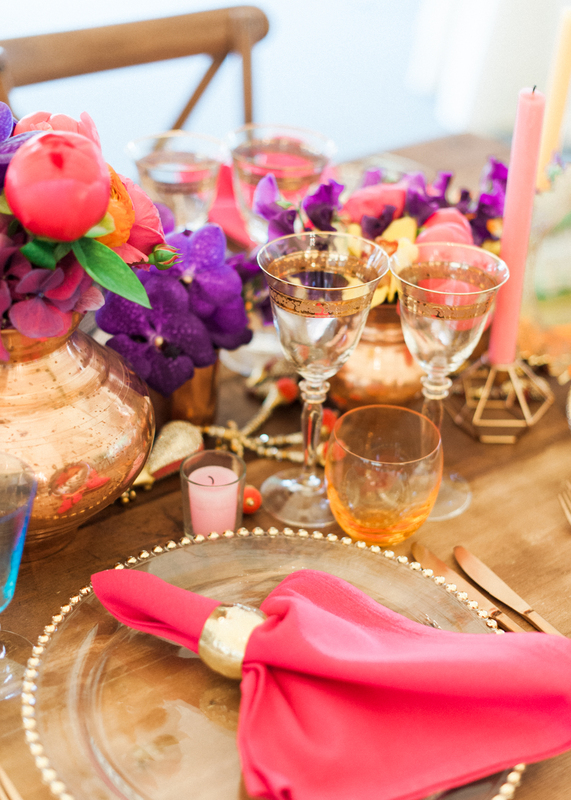 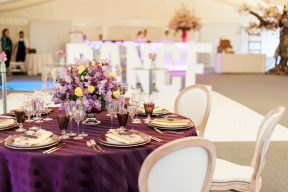 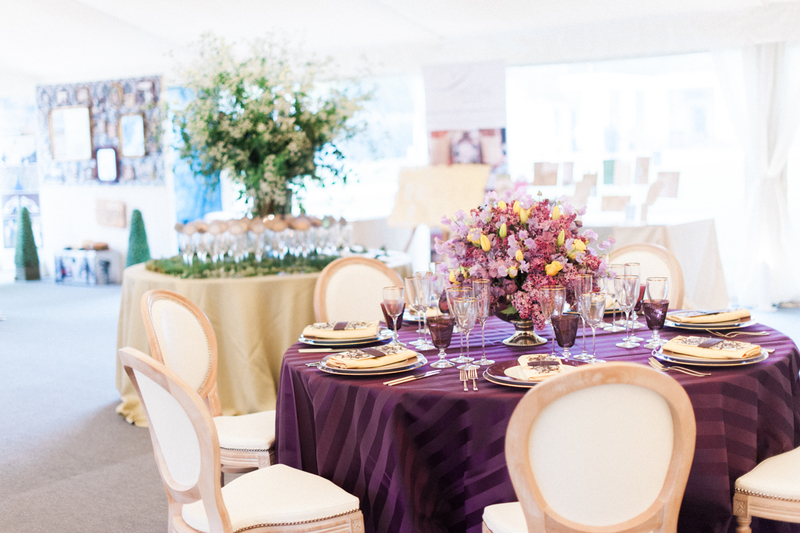 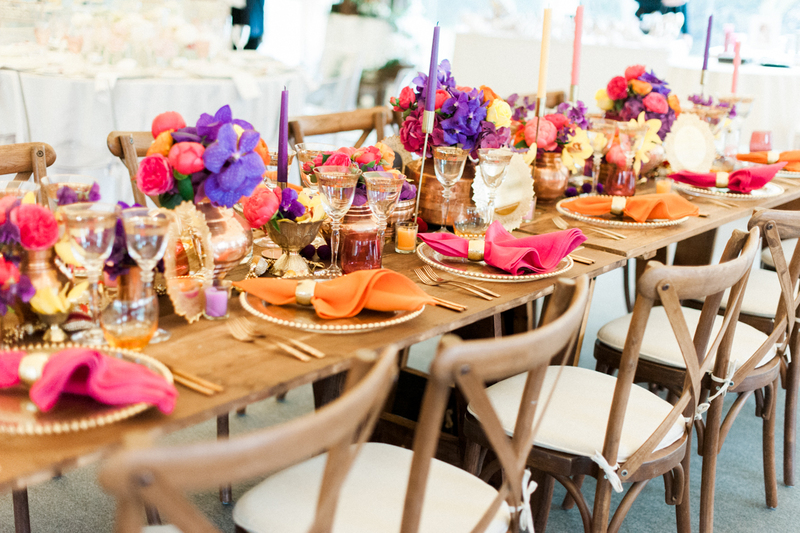 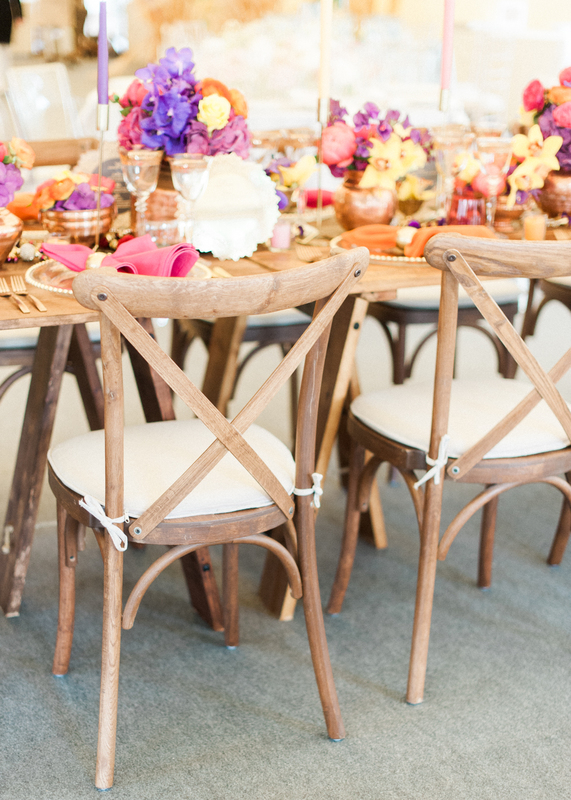 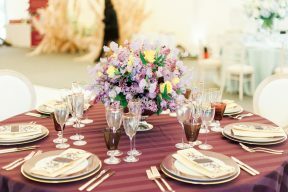 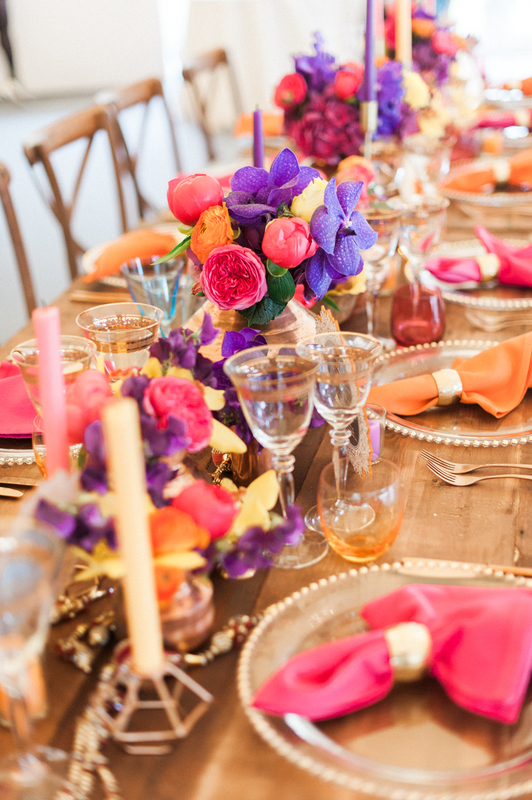 Rustic chic wooden tables with a mix of vivid hues – hot pink and exotic oranges complimented by rich purples and more! 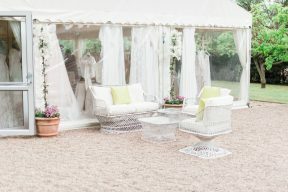 It has a fiesta feel and I can imagine the conservatory being an amazing setting for this scheme! The Wedding Showcase at Chiswick House isn’t your average wedding fair – tell us what makes it different: Our Chiswick House and Gardens Wedding Showcase was an exciting and interactive experience which aimed to fill couples with inspiration for their special day, whether at Chiswick Hous further afield. 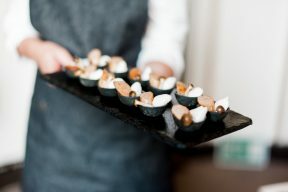 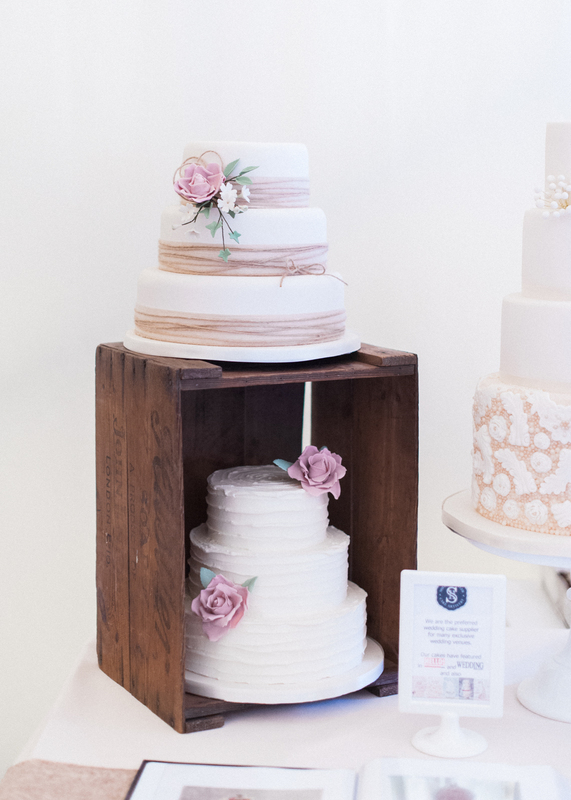 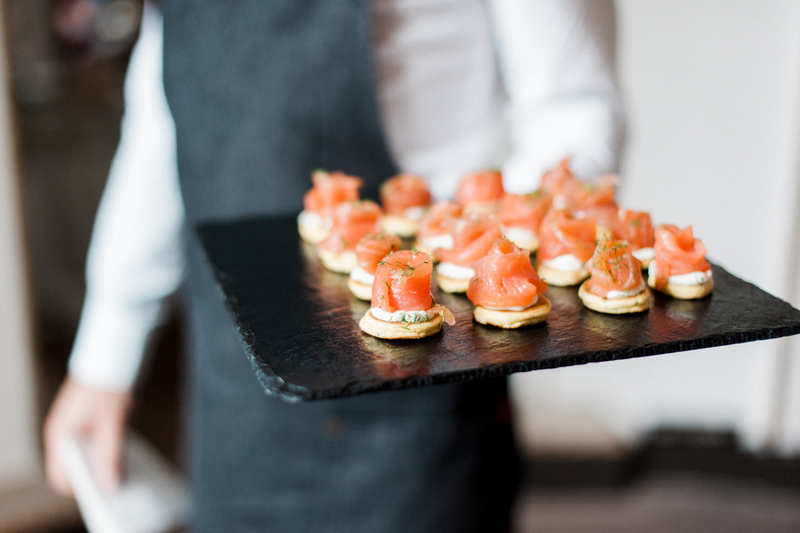 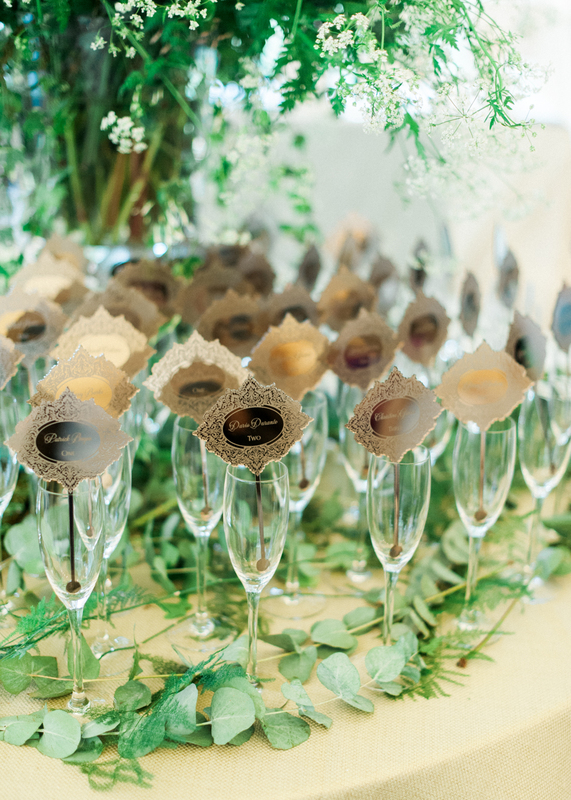 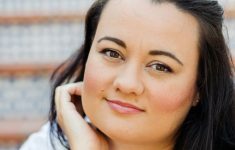 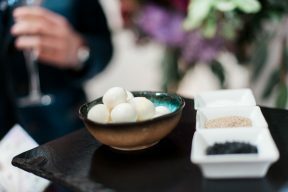 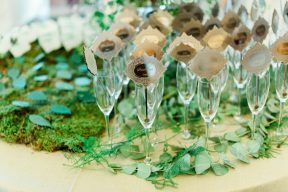 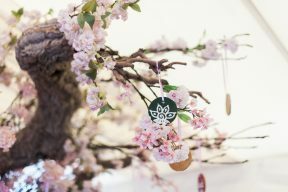 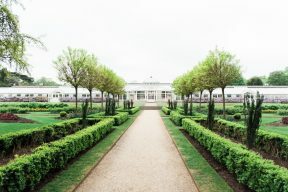 We worked with Kelly Chandler from The Bespoke Wedding Company and 29 wedding professional partners to bring to life one of the largest Wedding Showcases in West London featuring everything you need to build you dream day; from caterers and cake designers, to wedding dresses and suiting. 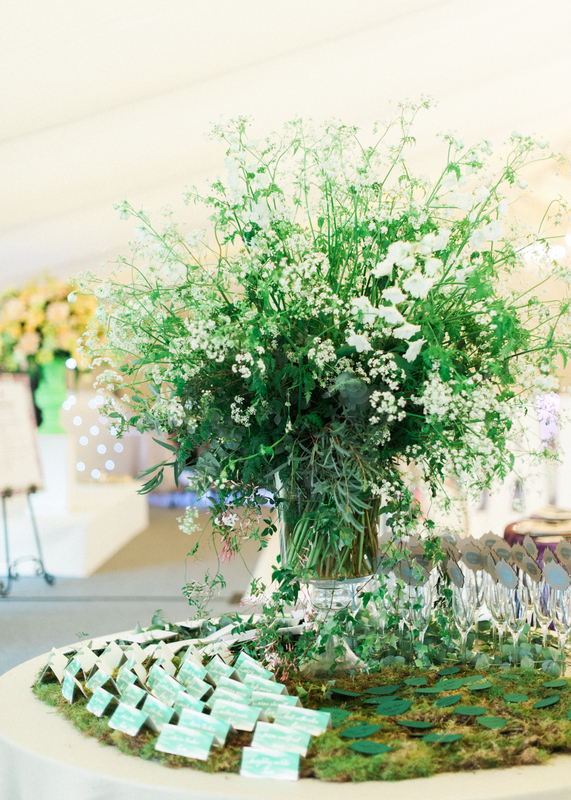 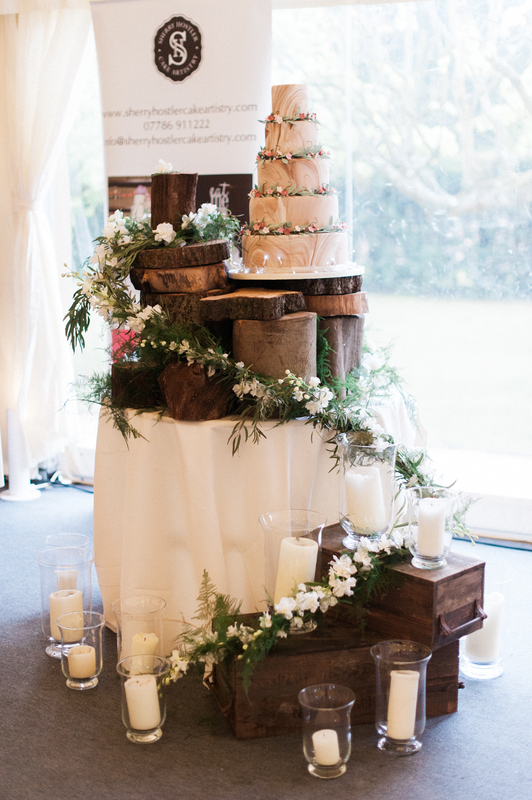 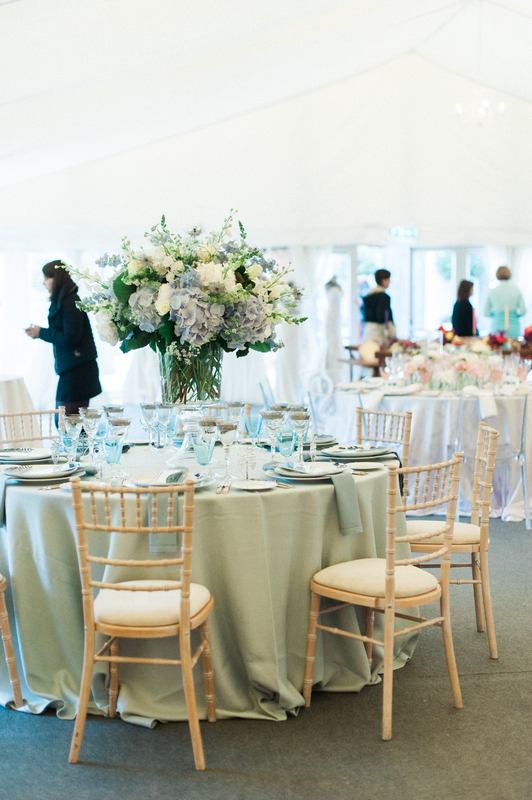 What were your favourite features of the wedding showcase? 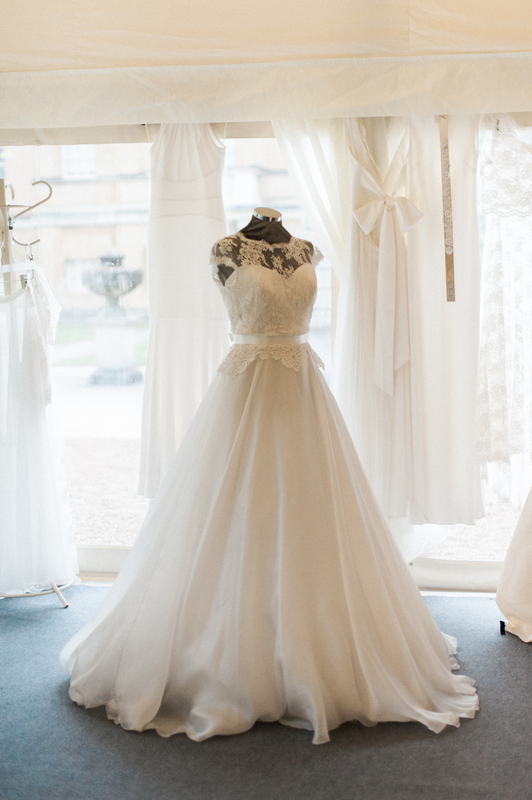 Our Bridal Boutique was one of my favourite features. 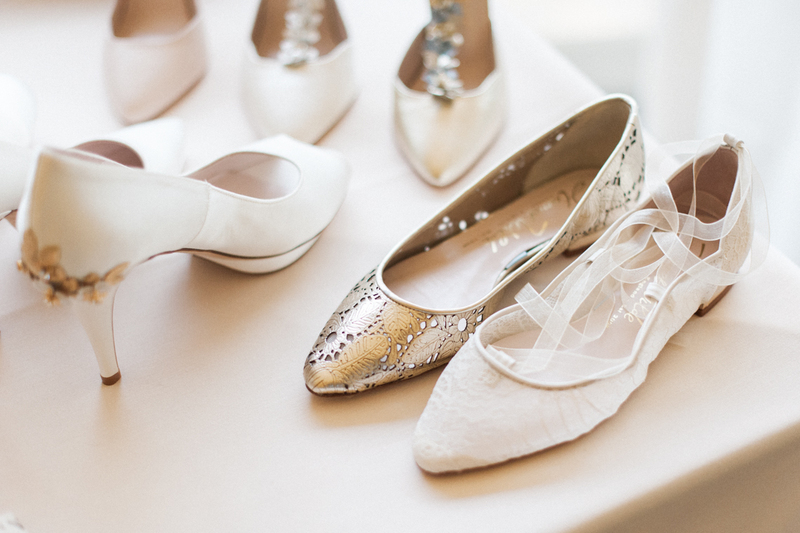 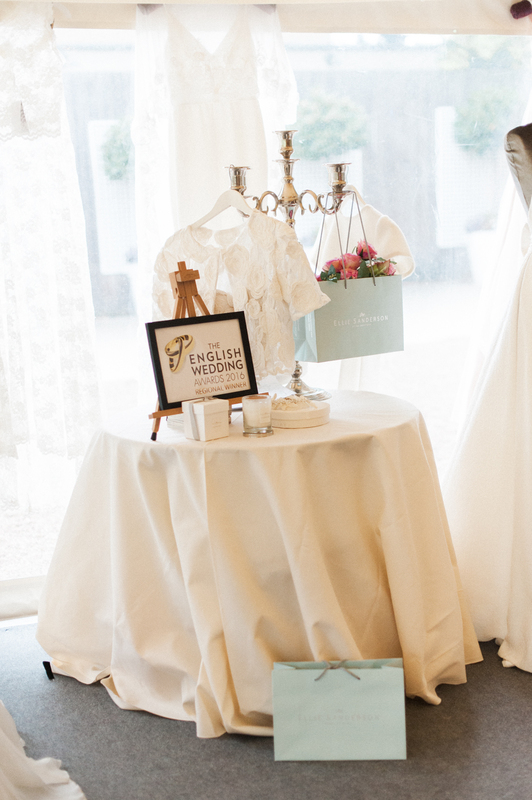 It was the perfect one-stop-shop for all brides to be, featuring Ellie Sanderson’s stunning wedding dresses, Harriet Wilde shoes and Pompadour Lingerie. 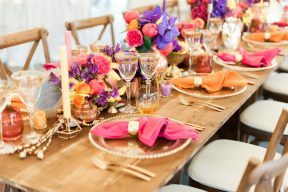 I also loved our styled dining tables. Ruth at All For Love London styles five drastically different tables which all looked incredible; her passion and attention to detail is so inspiring. 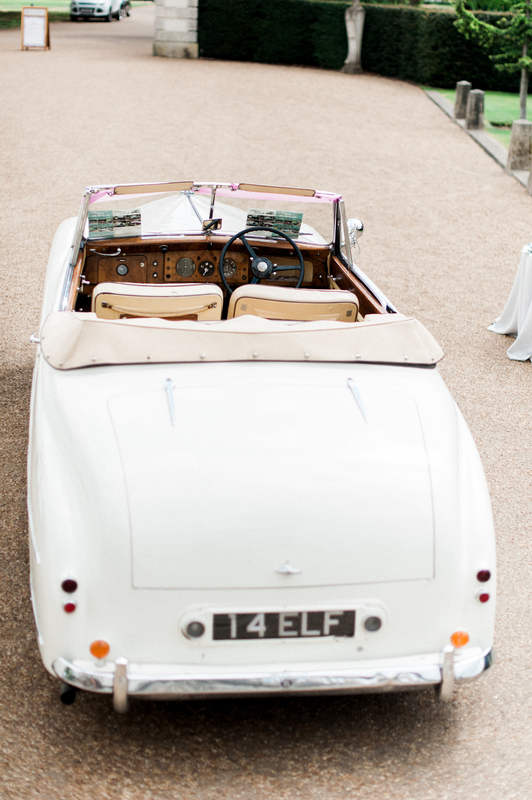 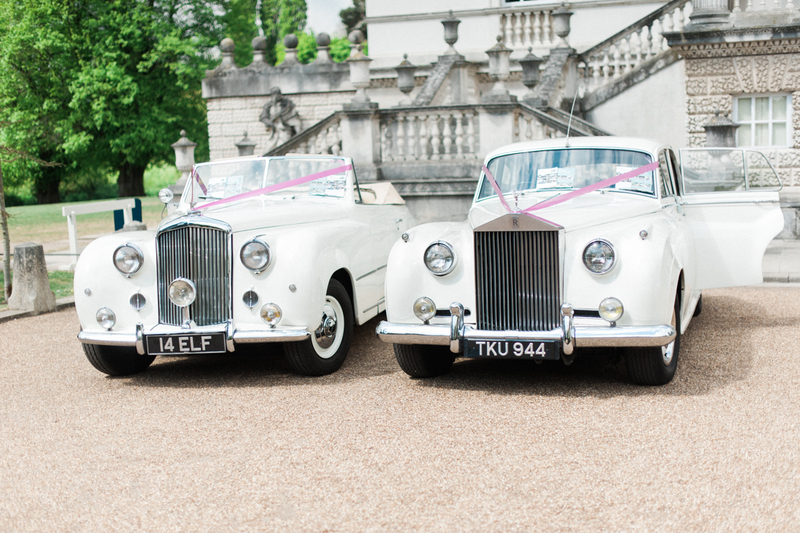 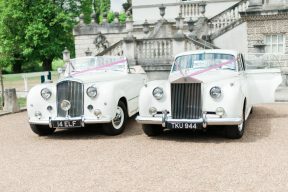 What sort of couple would love to get married at Chiswick House & Gardens? 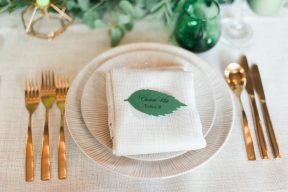 What’s their wedding style and what are they looking for? 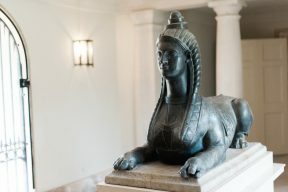 Chiswick House and Gardens is perfect for couples looking for a venue with history and heritage. 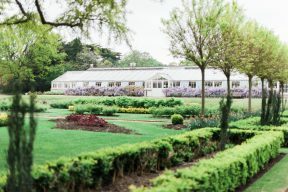 It has played host to many celebrations over the past 200+ years and as such, it’s filled with stories. 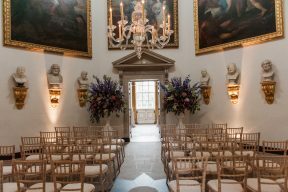 If only the walls could talk! 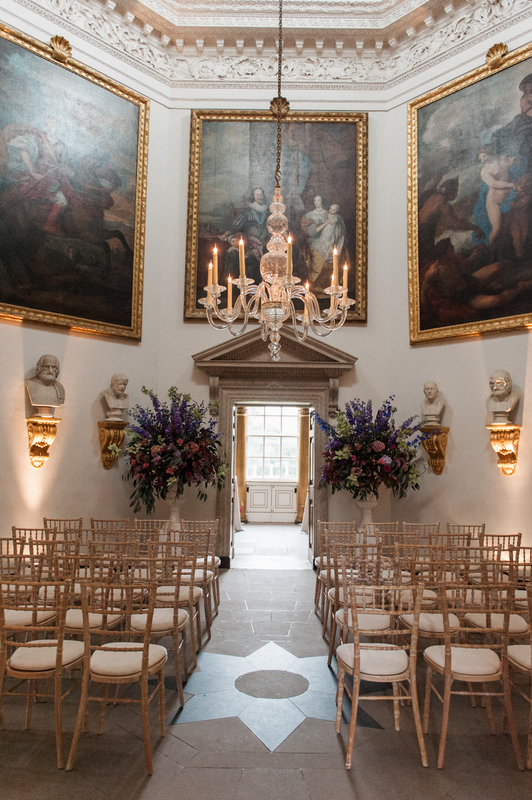 We have two quite different settings for a wedding ceremony for couples to consider, Chiswick House itself has a very grand, opulent feel which often suits couples looking at more traditional wedding styles. We also have The Conservatory, situated in our Italian Garden, which has a very romantic, almost fairy tale atmosphere to it. 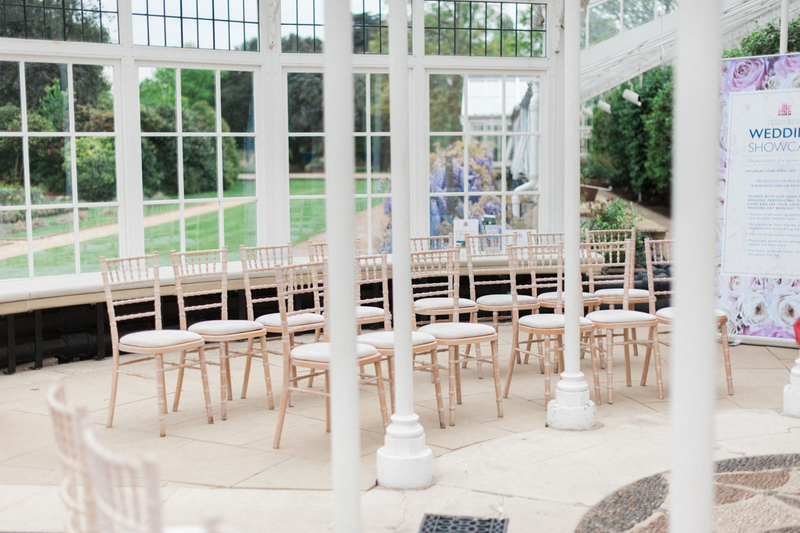 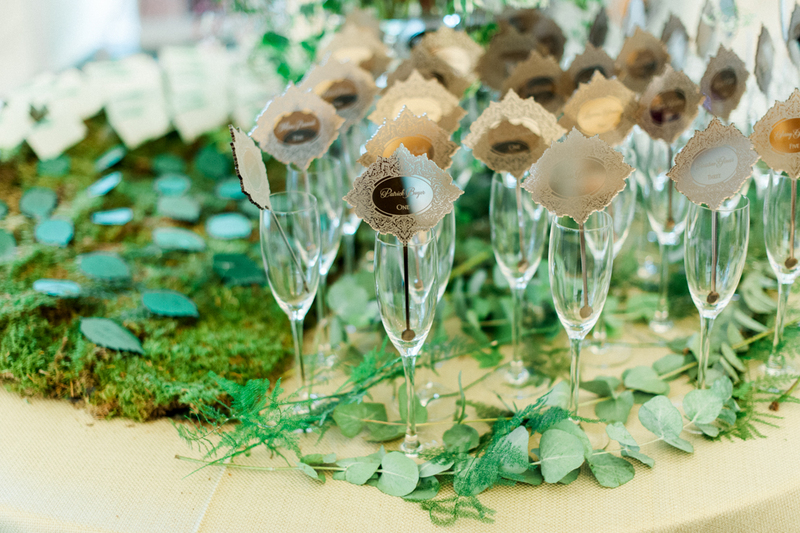 This venue often attracts couples that want to feel like they’re in the Gardens, surrounded by nature. 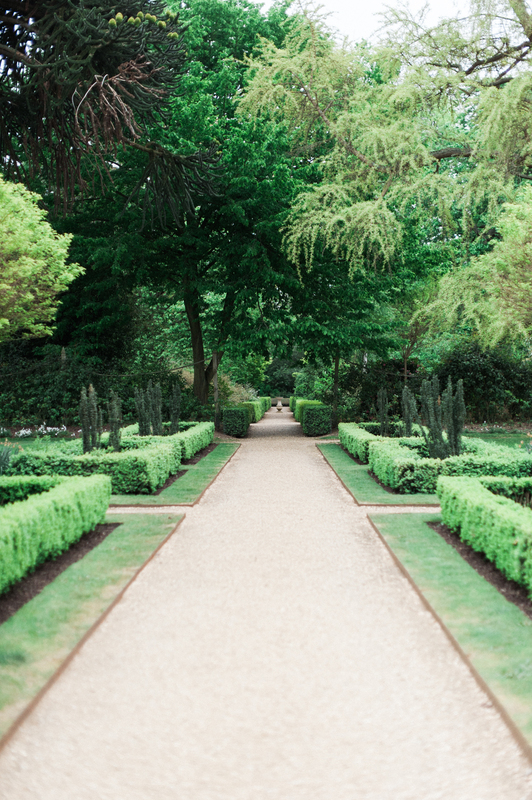 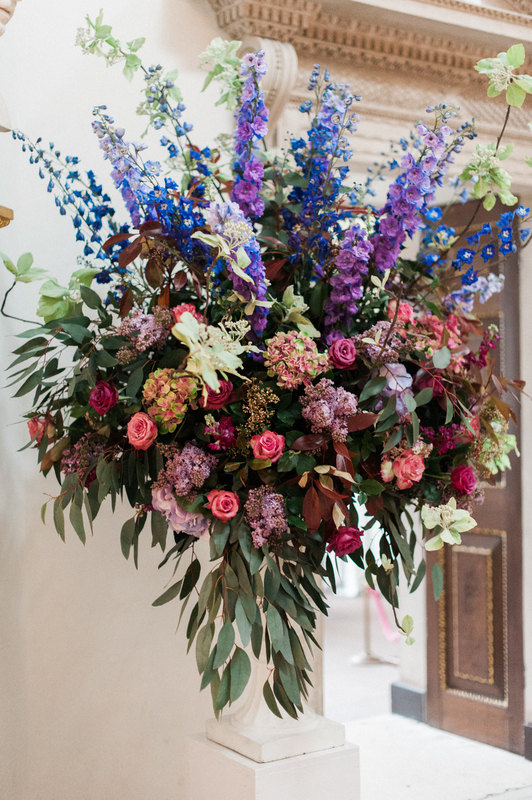 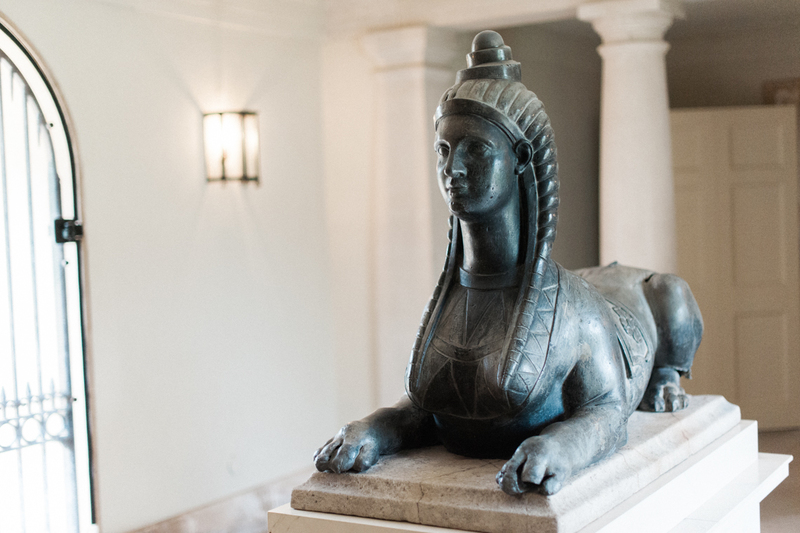 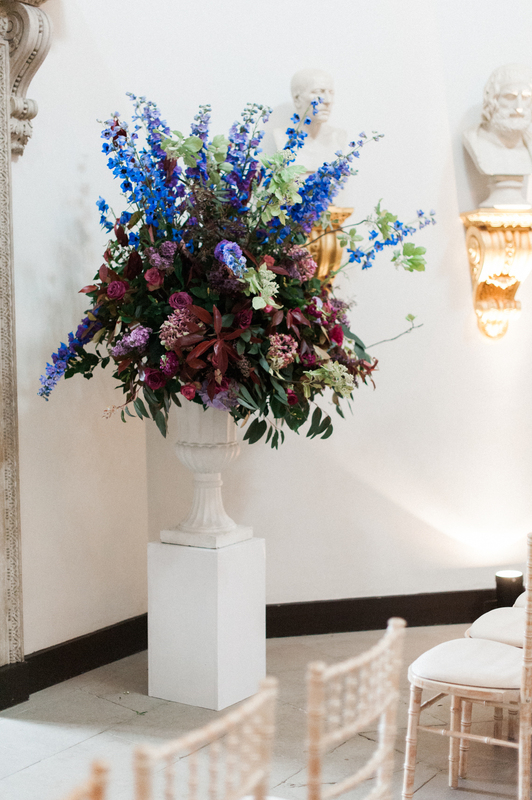 What are the beautiful features of Chiswick House for Spring and Summer Weddings? On a summers day The Conservatory is bright and filled with sunshine. 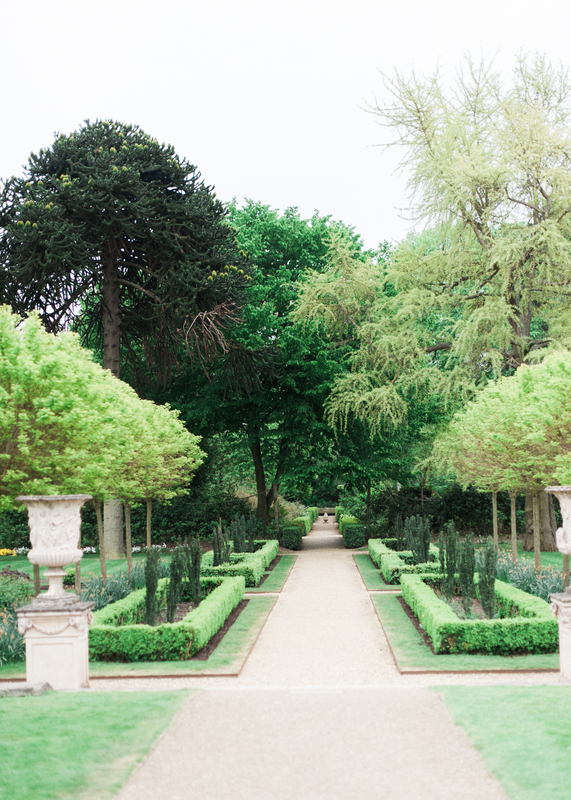 Our Italian Garden is in full bloom throughout the summer months and as I mentioned earlier, has a romantic atmosphere that is just perfect to set the scene for couples to say, “I do”. 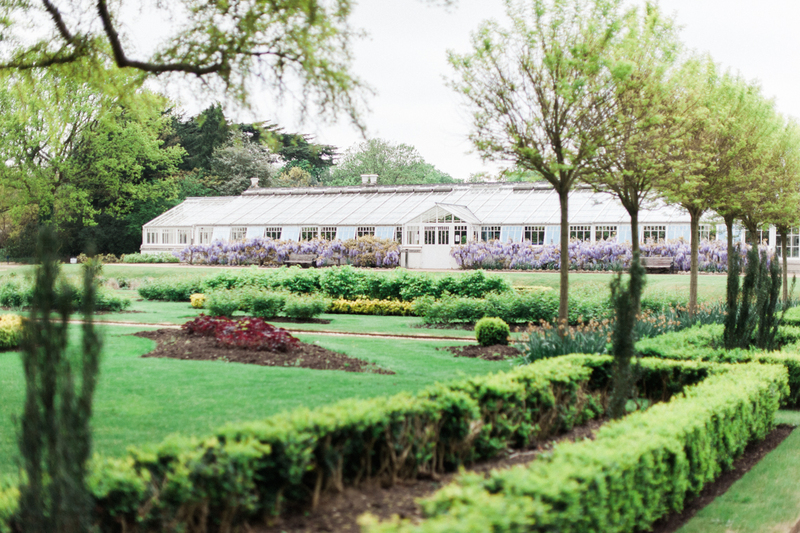 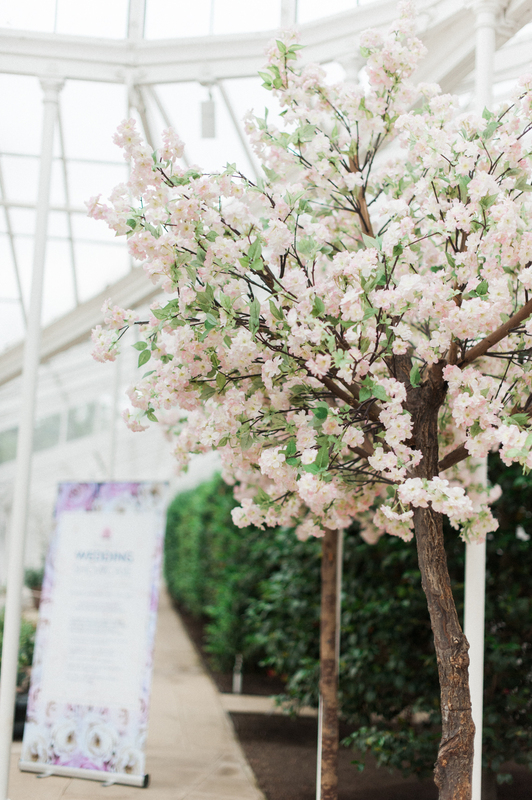 The Burlington Pavilion, our seasonal marquee is in place throughout the summer months (April-September) and provides space for up to 250 guests to enjoy a wedding reception in the Gardens, on the lawn of Chiswick House. 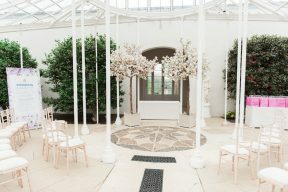 What are the beautiful features of Chiswick House for Autumn and Winter Weddings? 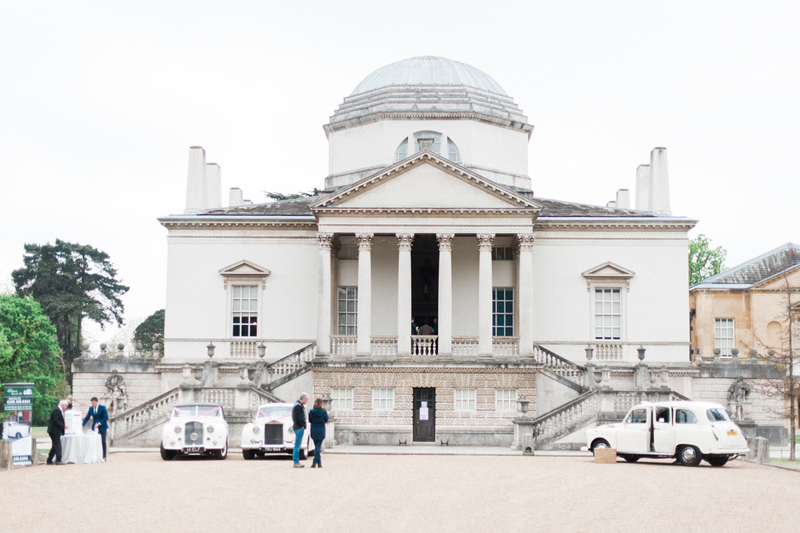 Chiswick House is a perfect Winter Wedding venue. 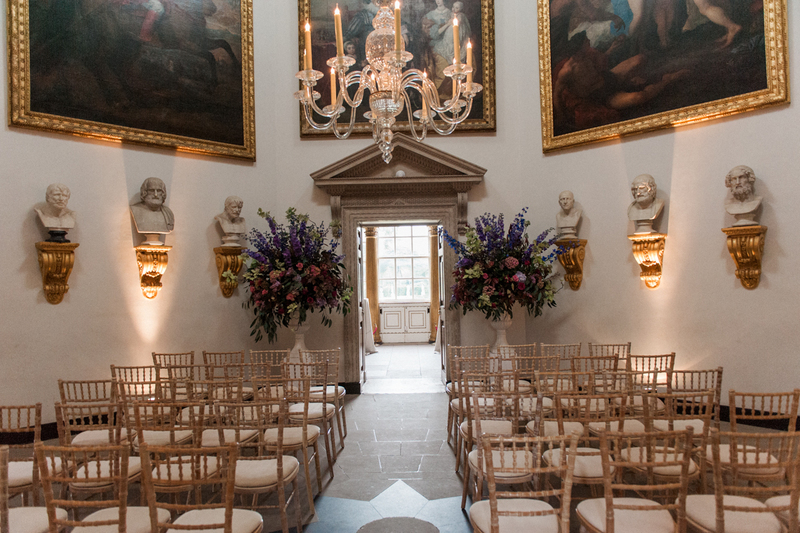 The décor and atmosphere inside the House, particularly in the velvet rooms is very warming. The rich colours in the collection work beautifully well with the trends and styles we tend to see in the winter months. 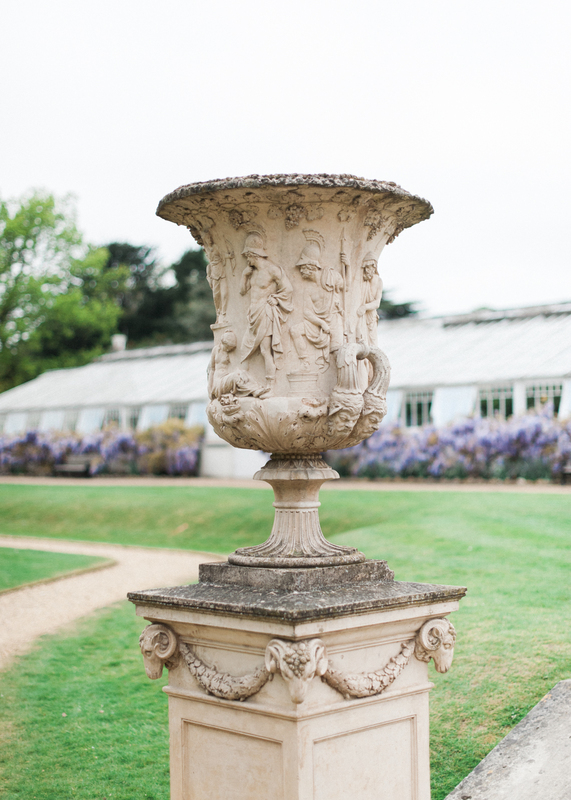 The Gardens are still very much alive in the winter and look especially beautiful when there is a frost in the air. 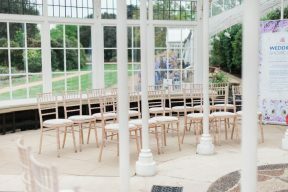 If you’re lucky enough to have snow on your wedding day at Chiswick House, you’re in for a surprise as it is well and truly magical when covered with a white blanket of snow.